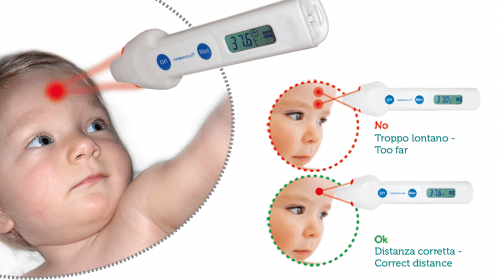 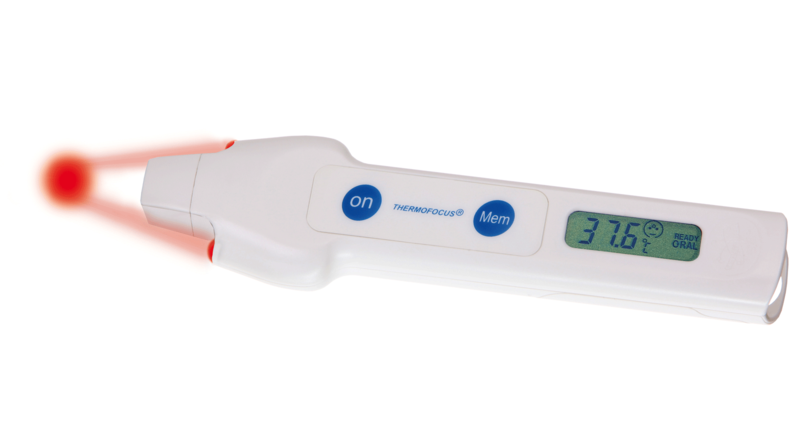 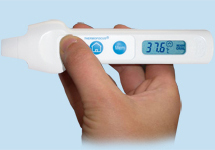 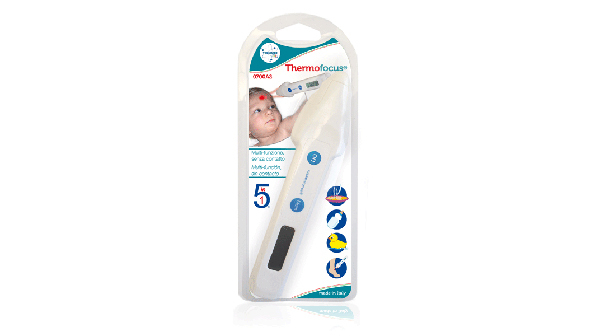 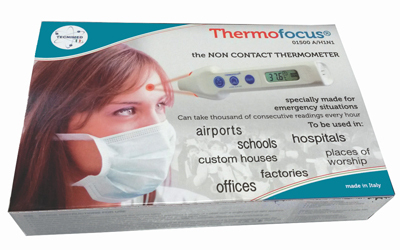 Thermofocus is the no touch thermometer, designed to allow you to take your baby’s temperature without even touching him/her. 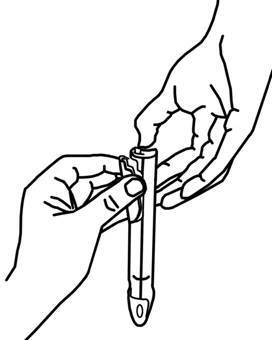 • Press the button “on” (mod. 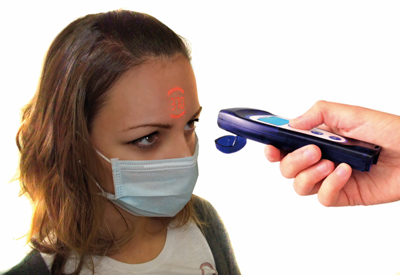 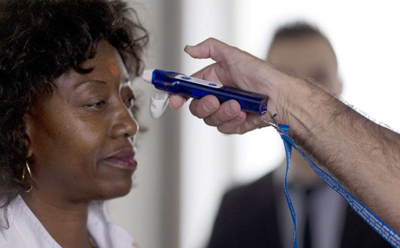 0700A2) or “face” (other models) to activate the tracking lights and keep it pressed.